Thank you for the care you have provided our children and for the stimulating learning environment you have created. ​I wanted to thank you and all the staff at hilltop for being patient with Eliki, we all have noticed a great improvement in his vocabulary and everyday life skills. Eliki is more confident and his social skills have developed a lot. We wish Hilltop all the best and thank you for everything. I don't need to tell you how much Zoe has loved attending your child care centre... she doesn't even want to leave when I come to pick her up in the afternoon anymore! We are off to big school next year. Personally, I have really loved so many aspects of your centre. It has such a magical family environment feel. You made us feel welcome from the get-go. Your staff are amazing, attentive and happy to share information about the day (something that is always hard to get out of Zoe - her response was always "nothing much"). I love the artsy/creative vibe of the space both indoors and outdoors. You guys are doing an all-round stellar job and your recent accreditation is proof of that. kudos for your achievements! Thanks for nourishing and enriching Zoe over the last year and a half. 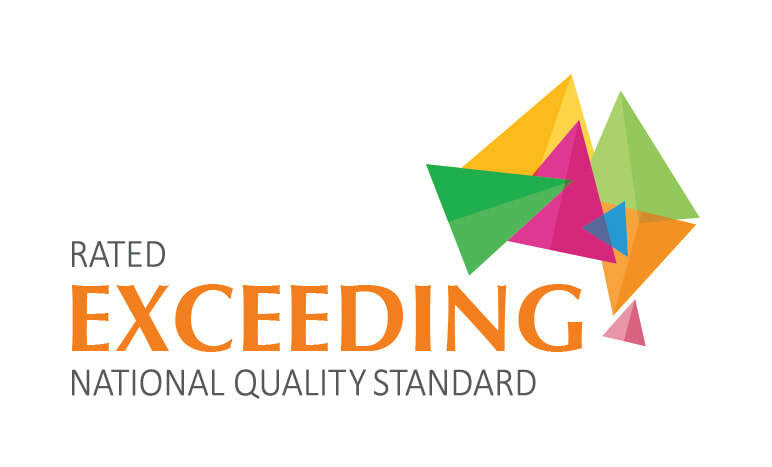 This service has received Exceeding National Quality Standard in at least four of the seven quality areas (of which at least two include quality areas 1, 5, 6 and 7); as a result it has received the overall rating of Exceeding National Quality Standard.